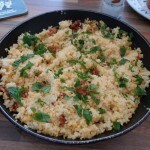 Long time no blog folks, many apologies for the lack of updates – but as always life gets in the way! 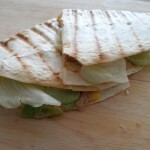 The third year of university has been a real killer for me, but not too worry – here’s a post detailing my new favourite seasonal snack. 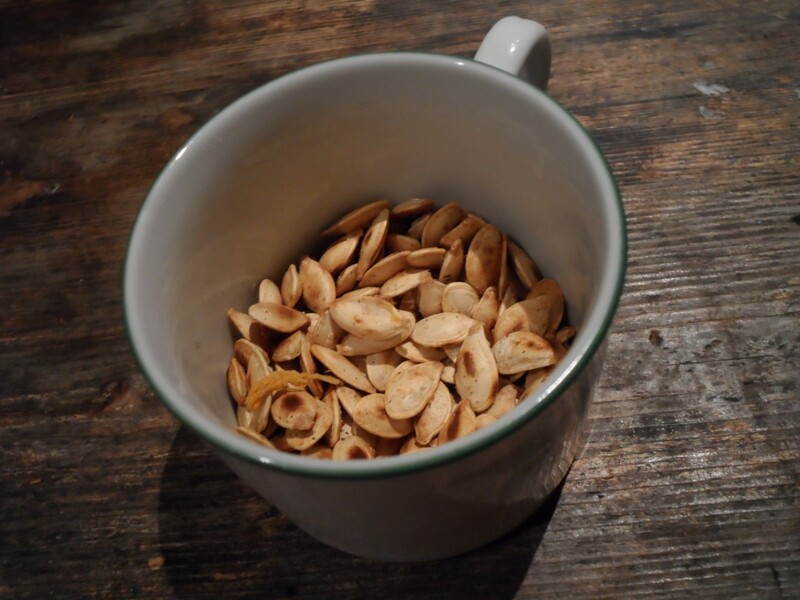 My obsession with pumpkin seeds as a snack occurred just after Halloween, after the initial rush of people buying pumpkins they were left incredibly cheap. Naturally being tight as hell I grabbed a few, since after all I was very interested in what I could actually do with pumpkins in general. The answer is… LOADS OF THINGS! 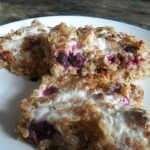 They’re actually surprisingly healthy and versatile. I don’t think anyone got the memo about this, since after all – we carve faces into them and leave them to rot. Food waste eat your heart out. Who knows, maybe 1,000 years into the future scientists will find a carved fossilized pumpkin and ponder what was wrong with their ancestors. I’m getting carried away, but if anyone wants to buy the screenplay then drop me a line . Michael Bay, that one goes out to you if you’re listening. 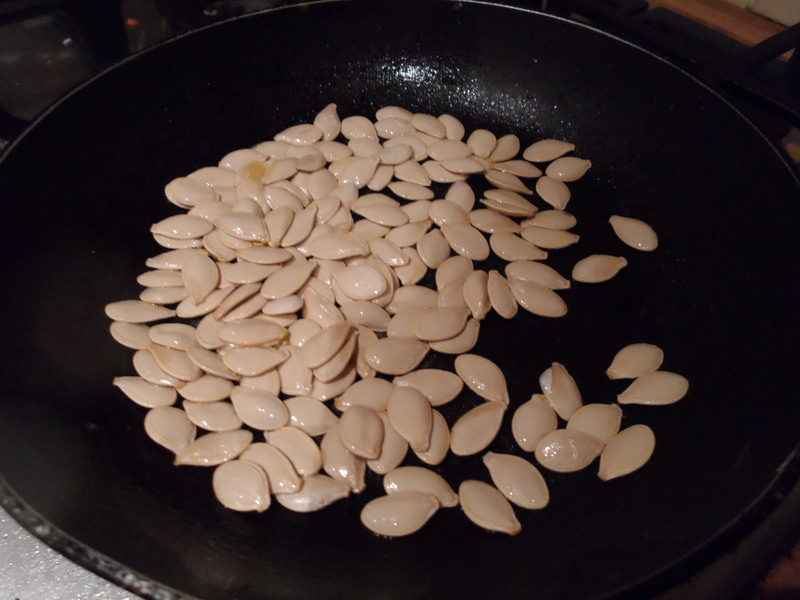 Probably best to stop rambling and explain the how to make these toasted pumpkin seeds. 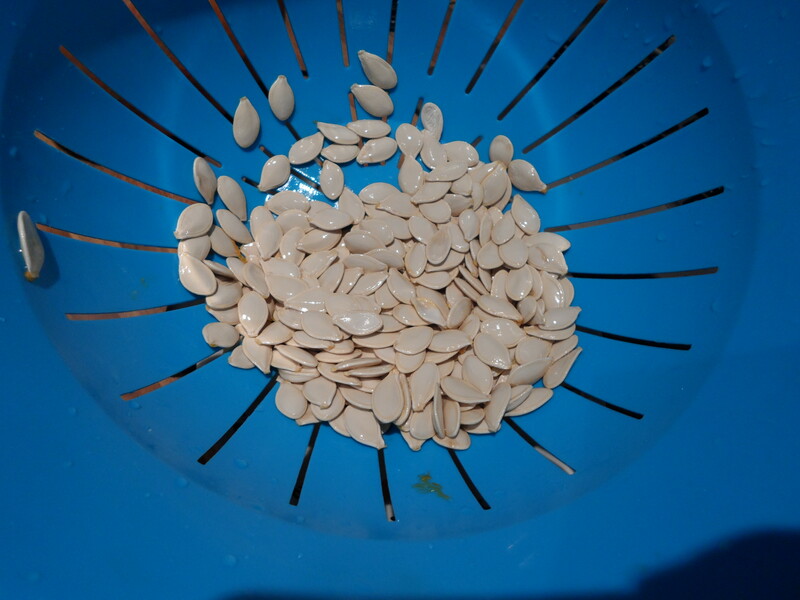 Step one in your pumpkin seed quest is to lop the top off the pumpkin and separate the flesh from the seeds. I’ve seen people on-line talk smack about using your hand, but screw them. Reach deep into the pumpkin sift through the flesh looking for seeds. Wash all of the gunk off in a colander and dry before the next step. After that, heat 1tsp of oil in a Pan over a medium heat. Once the oil simmers, through the seeds in. 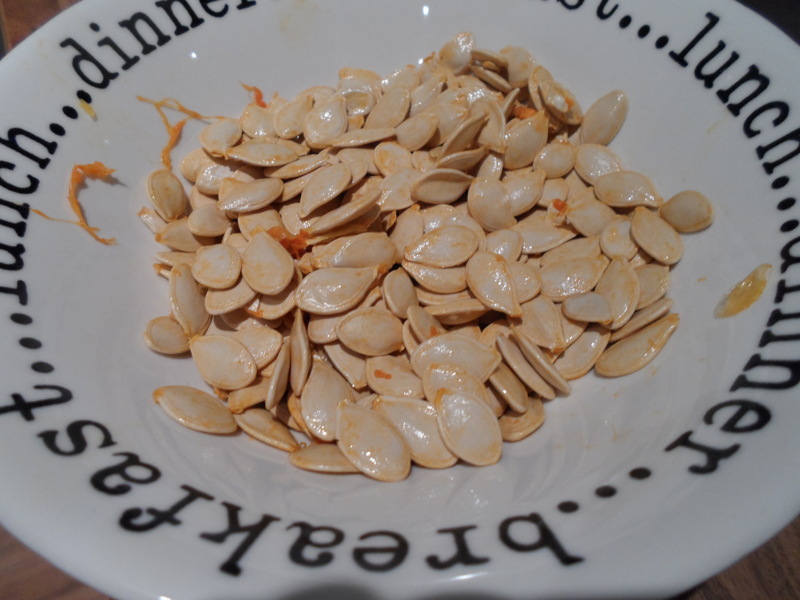 When the pumpkin seeds are brown and the husks open slightly they’re ready. Finally put the toasted pumpkin seeds in a pretentious cup and photograph artistically after seasoning with salt & pepper. They”ll be delicious, mine didn’t stick around longer than an hour… Now to wait for the next Halloween. Expect a pumpkin purée recipe in the pipeline. Boy are you in for a treat. Leave a Reply to Becky Lovatt Click here to cancel reply.